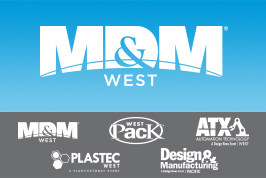 Visit Medical Component Specialists at the upcoming MD&M West in Anaheim, CA from February 5-7, 2019. Stop by Booth #3094 for all of your orthopedic and interventional medical instrument needs! Not attending? Contact us for more information. For 33 years, MD&M West has helped take medical devices from concept to market by uniting cutting-edge technology with the industry’s foremost minds. Source from the world’s largest collection of suppliers on one show floor. Connect with over 20,000 engineers and executives who are ready to forge business partnerships. Learn from industry luminaries presenting their insights. It’s three days of industry immersion that MedTech professionals simply can’t afford to miss.